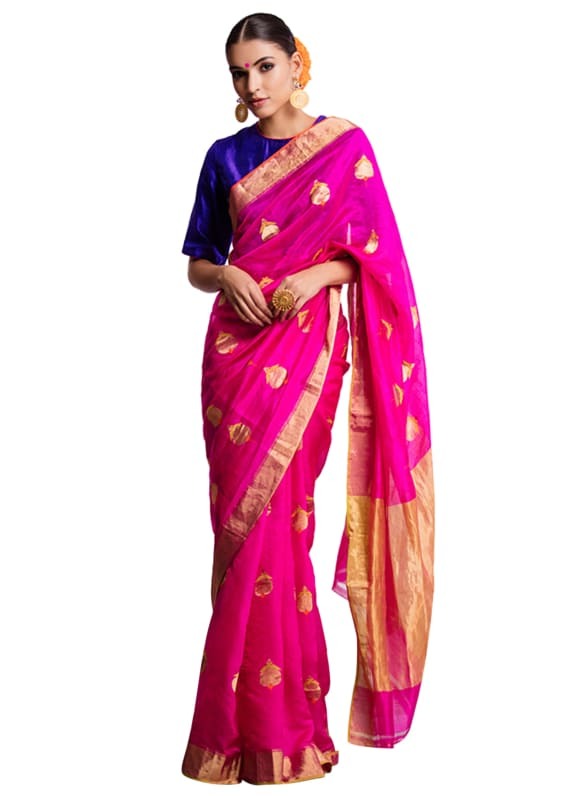 A fuchsia silk sari with a gold border and bootis. 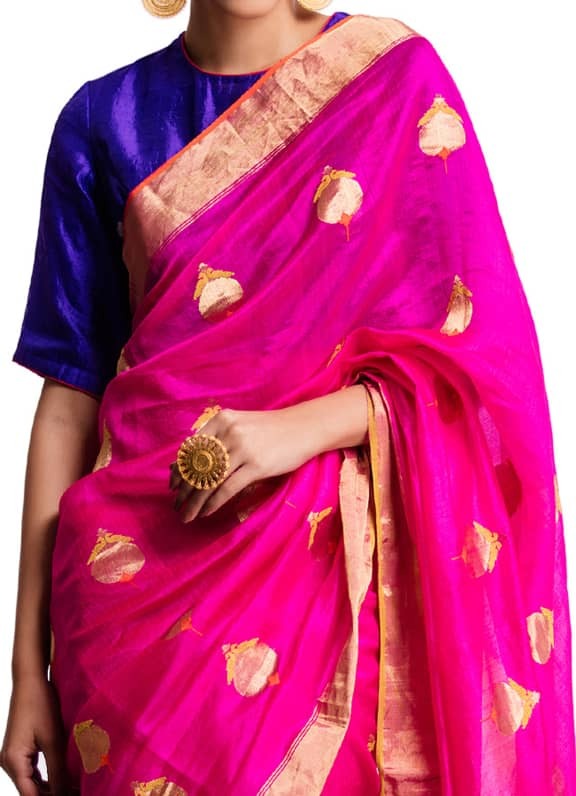 A bold gold pallu is contrasted with a loosely fitted traditional purple blouse with dull silver bootis and pink detailing. 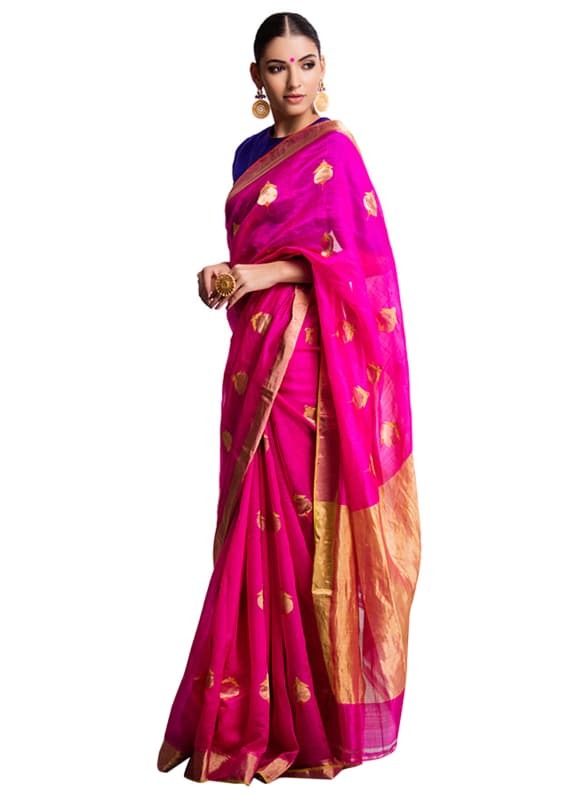 Raw Mango's bright fuchsia sari with a gold border has a bold gold pallu. 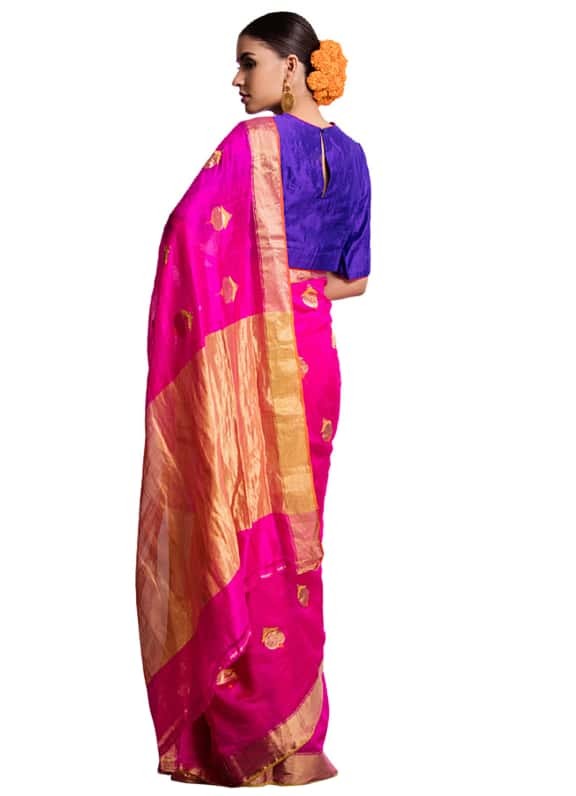 The purple blouse with silver bootis is well suited for a festive event, a family celebration or a wedding. 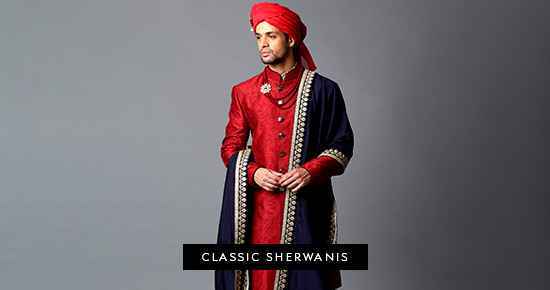 The short round neck and elbow length sleeves bring an old world style back in fashion. Pair it with gold coin ring by Amethyst, and gold and stone earrings by Amrapali.